The Pentagon’s office of the inspector general has announced the start of the first agencywide financial audit, ExecutiveGov reports. Beginning in 2018, audits will occur annually, with reports issued Nov. 15. “Annual audits also ensure visibility over the quantity and quality of the equipment and supplies our troops use,” David Norquist, DoD comptroller, said. On Thursday, lawmakers averted a government shutdown by passing a new funding extension to keep federal operations running for two more weeks, reports Defense News, in the hopes of reaching a broader budget consensus before Christmas. NAVAIR and the Georgia Tech Research Institute are working to accelerate the transfer of new technology into the US Navy through a program called IMPAX, reports Georgia Tech. IMPAX, or Innovation and Modernization Patuxent River, allows staff members to work outside the standard acquisition process to find, develop, and prototype new technology more quickly. Army Times reports North Korea says a nuclear war on the Korean peninsula has become a matter of when, not if, as it continued to lash out at a joint military exercise last week between the US and South Korea involving hundreds of warplanes. Japan will for the first time buy long-range missiles to counter the country’s “increasingly severe” national security situation, its defense minister announced, reports CNN. 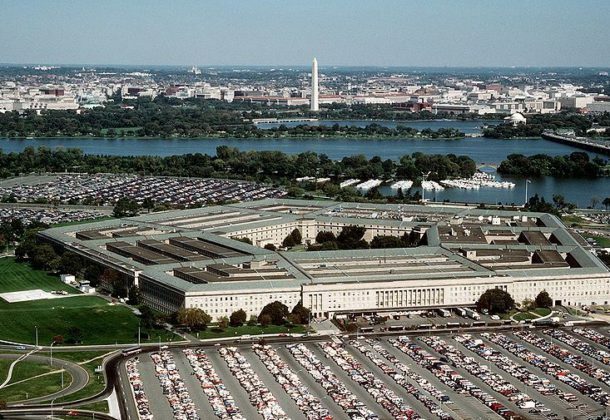 Despite the common adage that the DoD moves too slowly on acquisition, officials say the Pentagon can move quickly when it wants to, reports C4ISRNET. The key, though, is balancing risk, said Col. Donald McDaniel of Marine Corps Systems Command. The undersecretary of defense for acquisition, technology and logistics, told the Senate Armed Services Committee that she intends to demand a higher level of accountability from program managers if their acquisition program goes away, reports Defense News. Ellen Lord said D0D should expect to see some personnel movements related to accountability. Navy football, with its 6-6 record, came within mere feet of avoiding a second-straight loss to Army (9-3), but a last-second field goal fell just shy of crossing the goal post as time expired in a snowy Army-Navy Game on Saturday, reports NBCSports. Army won 14-13. The Navy is sending a team of deep-water salvage experts to search for the transport plane that crashed into the western Pacific Ocean in November, reports Voice of America. Eight people were rescued about 40 minutes after the C2-A Greyhound crashed, but three sailors were lost at sea. Army Times reports that after two months of record lows, veteran unemployment ticked upward last month. The US Bureau of Labor Statistics release its latest jobs reports Friday. The Trump administration filed a last-minute appeal to delay transgender recruits from joining the military, despite recent federal court rulings that the Pentagon must be ready to receive new troops Jan. 1, reports Army Times. “The military will not be adequately prepared to begin processing transgender applicants for military service by January 1, 2018, and requiring the military to do so may negatively impact military readiness,” attorneys for the administration said. ManTech International has landed a potential five-year, $35.9 million contract to provide engineering and technical support services to a US Navy division focused on ship and shore combat identification systems, reports ExecutiveBiz. There was a recent celebration at the newly renovated Patuxent River Naval Air Museum, The Bay Net reports. Rep. Steny H. Hoyer attended a ribbon-cutting ceremony Dec. 4. Major construction and renovations were done in the museum’s Flight Technology Hall and the Collections Management Facility. The museum welcomes more than 25,000 visitors a year. ManTech Advanced Systems International Inc., Lexington Park, Maryland, is being awarded a $35,884,175 indefinite-delivery/indefinite-quantity, cost-plus-fixed-fee contract for the procurement of engineering and technical services in support of the Combat Integrated and Identification Systems (CI&IDS) Division for Systems Engineering and Technical Services Department (AIR-4.11.2). The contract provides systems engineering, research and analysis, technology assessment, requirements analysis, risk analysis, performance analysis and design engineering, test bed design and development, system test and evaluation, interface engineering, system integration engineering, installation and checkout planning, field engineering and technical support, engineering documentation, training services and quality assurance in support of CI&IDS. Work will be performed in St. Inigoes, Maryland (90 percent); and Lexington Park, Maryland (10 percent), and is expected to be completed in November 2022. No funds will be obligated at time of award. Funds will be obligated on individual task orders as they are issued. This contract was competitively procured via an electronic request for proposals; one offer was received. 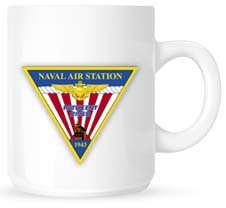 The Naval Air Warfare Center Aircraft Division, Patuxent River, Maryland, is the contracting activity (N00421-18-D-0009). Progeny Systems Corp., Manassas, Virginia, is being awarded a $17,930,604 cost-plus-incentive-fee, and cost reimbursement modification to a previously awarded contract (N00024-14-C-6220) to exercise fiscal 2018 option for the procurement of engineering services and production of Technology Insertion 16 active intercept and ranging and archival media center upgrade kits, shock isolated modular cabinets and decoupled display workstations. Work will be performed in Manassas, Virginia, and is expected to be completed by September 2018. Funds in the amount of $17,930,604 will be obligated at the time of award. Fiscal 2018 other procurement (Navy); fiscal 2018 research and development; and fiscal 2018, 2015, shipbuilding and conversion (Navy) funding in the amounts of $10,199,054, $3,492,736, $1,500,046, $1,369,384 respectively and will not expire at the end of the fiscal year. Fiscal 2014 shipbuilding and conversion (Navy) funding in the amount of $1,369,384 will expire at the end of the current fiscal year. The Naval Sea Systems Command, Washington, District of Columbia, is the contracting activity.